At 30 I feel fortunate for the different learning, career, and life experiences under my belt, but I could never make sense of them all. I’ve had moments where I’ve ended up on the successful side of the experience, learned and knowledgeable. But I’ve also had my fair share where I haven’t made it through. I’ve failed, repeated my mistakes, and then given up feeling frustrated and lost. About 6 months after officially taking a job with Movement I found myself the happiest and more productive I’ve ever been…and I wanted to keep it going. Normally when I hit these kind of highs I simply ride them out and inevitably they’re followed by a low, leading to boredom and job dissatisfaction. I was trying to make sense of my current situation, but I was stuck. Instead of repeating the mistake I realized I was in an environment built on better — the Movement — and thanks to Mark I was introduced to a lifestyle program built on better: LiVit. There’s really no such thing as an “overnight success.” The learning process can be a tiring one, full of bumps, dips, and sometimes dead ends. Sometimes things test well the entire way through, but a lot of the time we need to fail, sit back, and reflect on what went wrong and then go in a different direction. You start unknowledgeable on one side of the box, go through the process (the box of learning), and then (hopefully) come out on the other end successful and knowledgeable. The alternative is, of course, spinning your wheels, repeating the same mistakes and then eventually getting tired of the failures and walking away from the process altogether. You’re then on the same side of the box as you started, but more frustrated. Thankfully, a lot of the same steps are required in any transformation process regardless of the goal. And if you understand the box, you can use the same framework to replicate your success. What if there was a better way to learn how to operate within this box? Understanding what really goes into change, the warning signs and triggers, how to test the variables and what framework and strategies for change work best with your personality? There is, and it’s one part of LiVit. LiVit is a cheat code, an accelerator, for the box of learning. Everyone interprets LiVit differently, enters with different end goals. When I started to meet with Mark, I simply wanted help understanding what makes me happy. What allows for me to be most productive. At my best. So I met with Mark once a week after class for about a month. 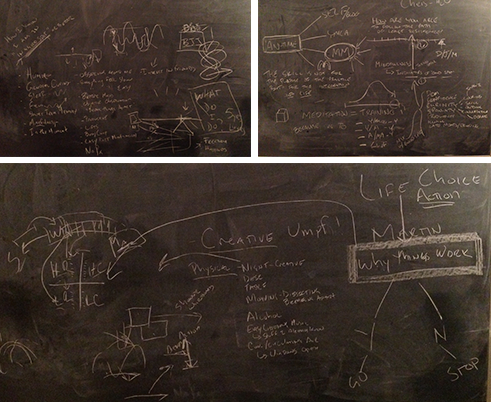 The nights were exhausting…and full of a lot chalkboard talk (and about 10 pages worth of my own notes on Word). What started as a conversation on what makes me happy morphed into something much more important. 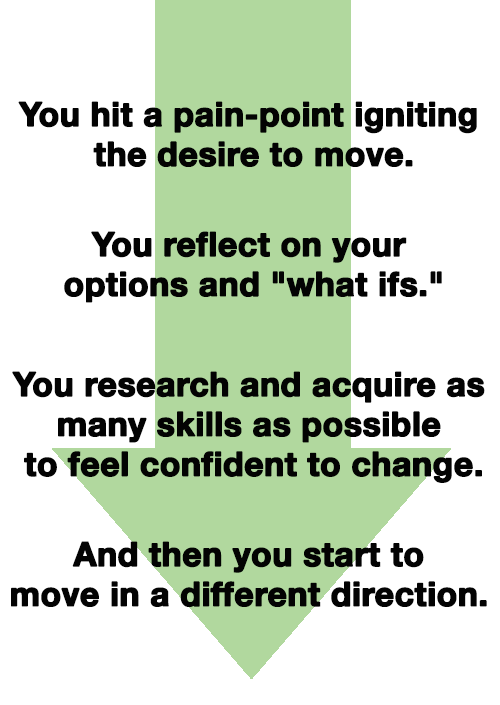 Thanks to working with Mark and the framework of LiVit, I’ve developed an understanding of the process of change, allowing me to leverage my understanding of the box to my advantage. In the past, I would get chewed up and spit out by events and experiences. Now, with an understanding of the box, I can be on the offensive. Do I have it completely figured out? No, not by a long shot. But I have a system to figure it out. LiVit can be so much more than a nutrition and lifestyle program. The process of learning about yourself, the steps and systems that allow for YOU to change are covered through and through. No stone left unturned…if you’re willing to do the turning. Everyone will leave with something different. 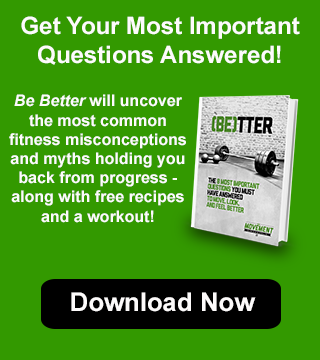 If you only leave with a better understanding of eating for fat loss, you will have gotten your investment back 10 fold. And if you dig in and listen to the themes and lessons for lifestyle change LiVit is infused with, you’ll walk away with a better investment than you’ll ever find on Wall Street. Nothing tests well indefinitely. No matter how good you have it right now, you’ll eventually want and then need a change. Whether it’s feeling comfortable with your body this summer, or taking the leap on a different career path, I can’t recommend LiVit and working with Mark enough. Are you ready to check out what’s in the box? Click here to learn more about LiVit.